S.E.B: Sterling-Euro to Rise Under all Brexit Scenarios Except under No-Deal "Bloodbath"
- Pound-to-Euro exchange rate a buy on weakness ahead of Brexit deal. - Nordea warn of "bloodbath" for GBP if no Brexit deal is secured. - U.K. to agree "Canada style" deal but "Chequers" is better for GBP. Pound Sterling enjoyed a 0.54% gain on the Euro in the previous week that saw the GBP/EUR exchange rate close its account at 1.1233 ensuring the September recovery remains alive. And we are told there might be more gains ahead if European and British politicians manage to navigate the complexities and secure a Brexit Withdrawal Agreement before year-end. Indeed, Sterling will rise under all Brexit scenarios so long as a 'no deal' outcome can be avoided, according to analysts at Nordea Markets, who are advocating that clients of the bank buy the currency once an agreement is finalised. Nordea's call comes in tandem with increased optimism that negotiators will soon reach a deal on terms of the U.K.'s withdrawal from the EU. This would secure a "transition period" that leaves the U.K.'s current relationship with the EU largely unchanged until December 2020, and provide time for negotiators to thrash out details of the future relationship. Without an agreement on withdrawal, the U.K. will leave the EU on March 29, 2019 and default to trading with it on World Trade Organization terms. This is the 'no deal' outcome. 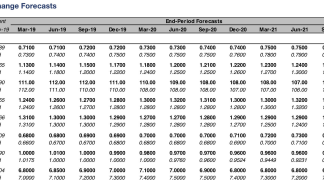 "As markets have already priced in a significant risk of “no-deal” outcome (around 40% judged from various prediction/betting markets), we expect any deal reached to be GBP positive, which is reflected in our current GBP forecast. 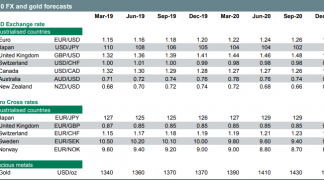 The exact timing of the turn is, however, difficult to estimate," says Andreas Steno Larsen, an FX strategist at Nordea Markets. "Expect a bloodbath in a cliff-edge scenario. In any other case, buy GBP." The difference between "fair value" for Pound Sterling under a no deal scenario and under the other outcomes is "huge", according to Larsen, and heavily influenced by the likely reaction of the Bank of England to each potential result. This is because one currency's "fair value" in comparison to another is determined largely by things like the gap between the two relevant interest rates, differences in inflation and mismatches in economic growth rates. Expectations for all of these things will be impacted differently under each of the scenarios. The EU's Michel Barnier said Tuesday that a deal could be struck by early November after already having told a U.K. parliamentary committee he is open to considering alternative "backstop" proposals for how to manage the Northern Irish border if an agreement on the future relationship is not made during the transition period. Barnier's recent optimism has already given Pound Sterling a fresh lease of life at the beginning of September, suggesting investor angst about the trajectory of the negotiations is now easing. Above: The Pound's performance over the past month puts it just shy of top of the leaderboard. These are some of the best Euro rates available in weeks. Secure potentially up to 5% more Euros with a dedicated currency provider than on offer with your bank account. Find out more. However, Larsen says that the talks are still likely to go down to the wire, with negotiations potentially running until March 2019 before a deal is struck. Larsen and the Nordea team anticipate the U.K. will eventually secure a Canada-style free trade agreement and not the "Chequers" proposal of Prime Minister May. They say this has more chance of being approved by the U.K. parliament too, because it would avoid leaving the U.K. parliament subordinate to European legislators and courts, among other things. The Canada-style free trade agreement is the preferred option being pursued by Brexiteers in May's Conservative party. This week members of the European Research Group - a Conservative organisation in which many Brexiteers belong - made their case for exiting under a Canada-style agreement. May might well have to concede ground to this view as she can only afford a handful of her own party to vote against the government when the final Withdrawal Agreement is placed before parliament. 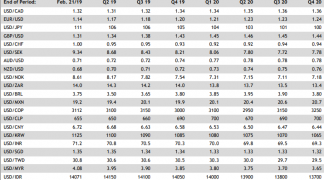 "If a deal is struck in line with our base case scenario (Canada “plus” deal), we expect the Bank of England to deliver the next rate hike in Q4 2019 followed by another one in Q4 2020." 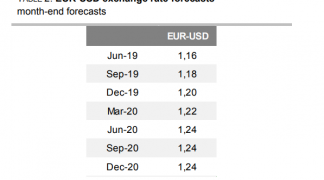 Larsen forecasts that under the Canada scenario the Pound-to-Euro exchange rate will rise back to 1.17 eventually and that under a "Norway style" European Economic Area deal the exchange rate could go as far as 1.2195. However, he also warns about the likely consequences for Sterling if the U.K. leaves the EU without any deal at all. "In case of a “no-deal” we would expect the fair value of EUR/GBP to move from levels around 0.85 to around 0.93," Larsen writes. "The risk of an even larger initial sell-off in GBP is profound, as markets tend to overshoot fair-values in times of stress. So levels of 0.95-0.98 in EUR/GBP are surely within reach as the first reaction, but we would consider such a massive GBP sell-off overstated in a longer perspective." A EUR/GBP exchange rate of 0.93 translates into a Pound-to-Euro rate of 1.0752 while a EUR/GBP rate of 0.98 would see Sterling trade all the way down to 1.0204.